Each one of our desks were specified and installed to display the extensive cable management capability*. But, more important than that, the desks were dressed. Not only with shiny Apple Mac computers but with our latest line of complimenting products, in fact, some weren’t so new but interest was reignited in them. Bench was adorned with a pair of radius cut, fabric wrapped screens, available as standard with Lucia but also upgradeable to any fabric you desire (as is the case with all our screens). Tension monitors arms were installed to support the weight of the very large 27” Apple Thunderbolt Display, weighing in at a whooping 10.8kg. 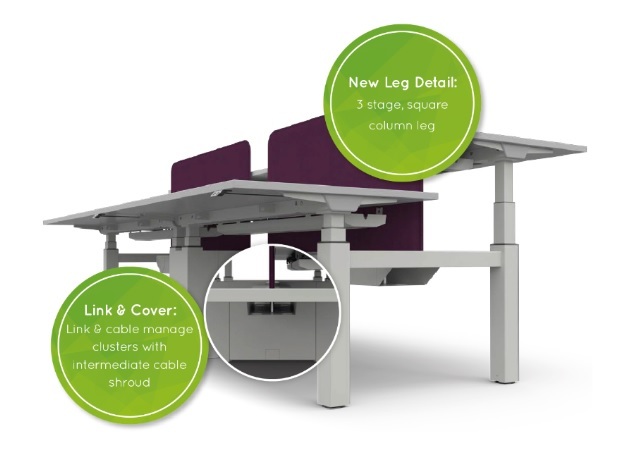 Super simple, highly effective cable socks carried cables to a standard desk whilst also providing power and data to our single Sit & Stand desk, extending to 1250mm. Power modules were fitted on all desks to provide USB 3.0 device charging. Perhaps the most talked about product was our ever so simple pedestal drawer. Fitted to the underside of the desk, with metal to metal fixings, the lockable drawer is the same width as a standard pedestal and the same depth of a single top drawer. Large enough to house a 17” laptop, papers, tablet devices or even a pair of shoes! The single drawer is an ideal solution to move away from the dumping ground that is a traditional pedestal and successfully bridges the gap of moving storage away from the desk with lockers. The event was a huge success with clients new and old gaining a vital product insight whilst also being able to discuss future additions to the product range. For those of you that came, thank you, for those of you that couldn’t, we’ll be back soon. In the meantime, if you would like to see our product, contact your account manager or one of our product geniuses and we can arrange a product preview at one of installations, your office or your client’s office. 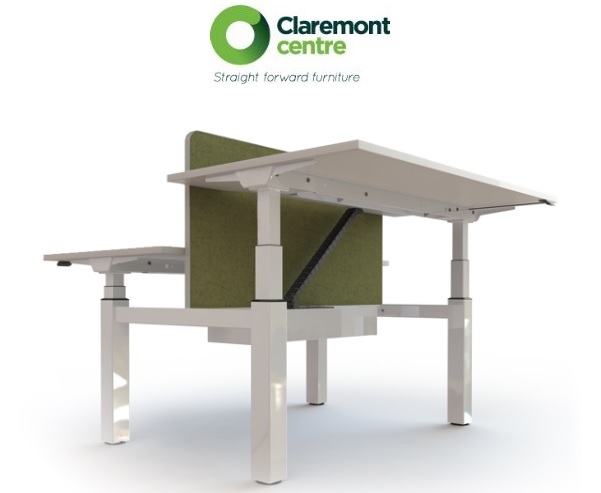 Call 0141 419 0437 or email info@claremont-centre.com for more information. *Cable management capability is more than just getting power and date from the floor to the chore. It’s about doing it in a manner that protects the aesthetic of the design, maintain clean lines whilst also providing functionality and accessibility to the user and facilities personnel.